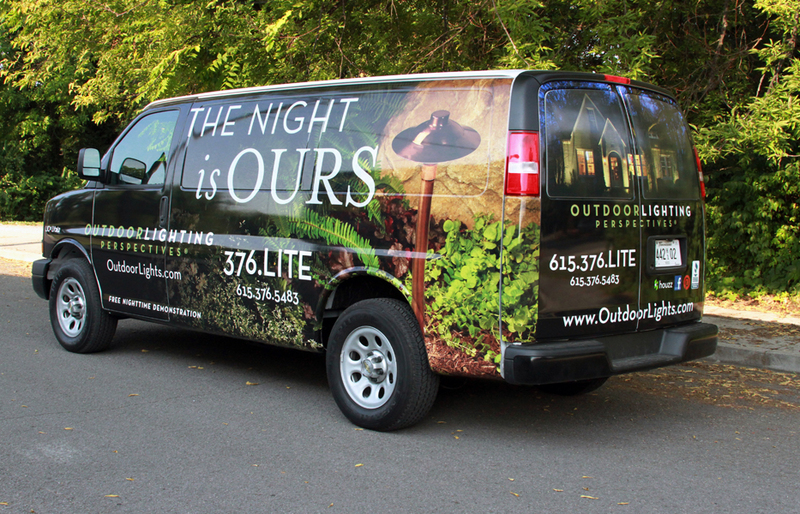 At Outdoor Lighting Perspectives of Nashville, “the night is ours” and all that entails! A sneak peek at our new van graphics. Holiday Lighting for Home & Business: Are renowned holiday lighting designs have given Nashville area residents joy during the Christmas holiday for many years. 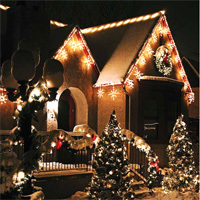 We offer an innovative holiday outdoor lighting program that is an ultra-convenient, ultra-beautiful way to take care of your holiday lighting needs. This program means we take care of everything for you from installation to removal and storage. 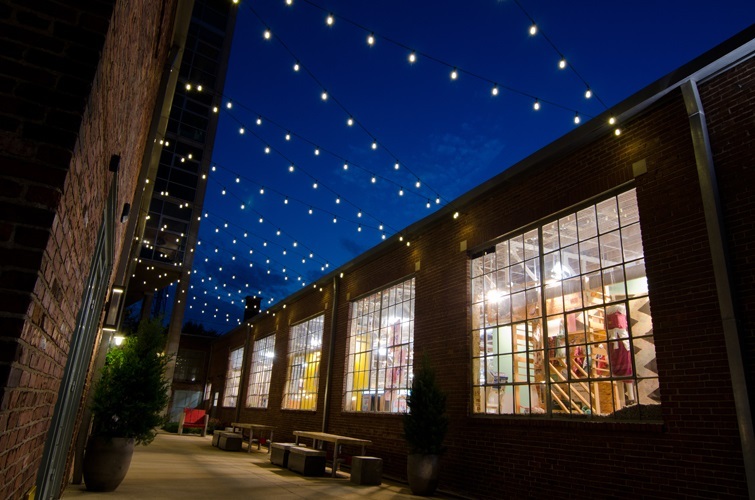 Residential and Commercial Outdoor Lighting Design & Installation: Our outdoor lighting services include architectural and facade lighting to bring out the best features in your beautiful home or storefront. We also specialize in landscape and garden lighting, fountain and water feature lighting, deck and patio lighting, tree lighting, statuary lighting and we are the leader among LED outdoor lighting designs and installation. 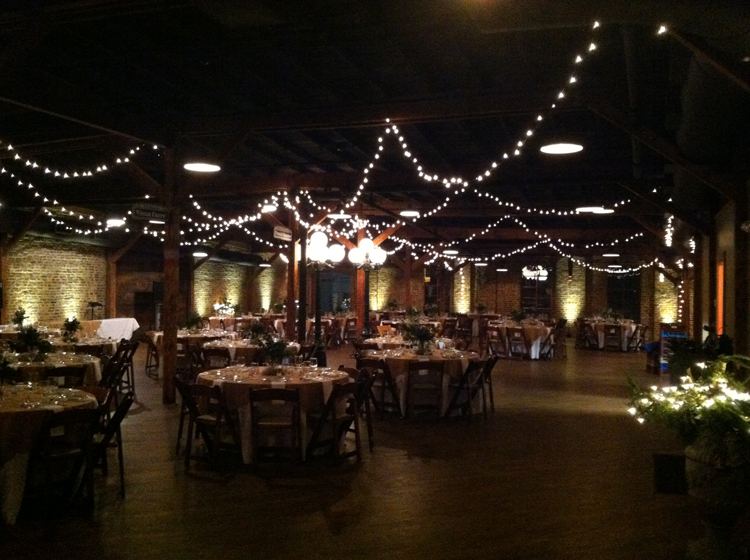 Outdoor Lighting Perspectives of Nashville special event lighting for wedding held at Huston Station in downtown Nashville. Temporary Outdoor Lighting for Special Events: We provide temporary lighting (including indoor as well as outdoor), for events and special occasions such as weddings, outdoor proms, dances, graduation and birthday celebrations, family reunions and other outdoor (and indoor) events you have planned. Permanent Festival Lighting: Festival lighting is all the rage for homeowners wanting to add ambiance in their outdoor settings. 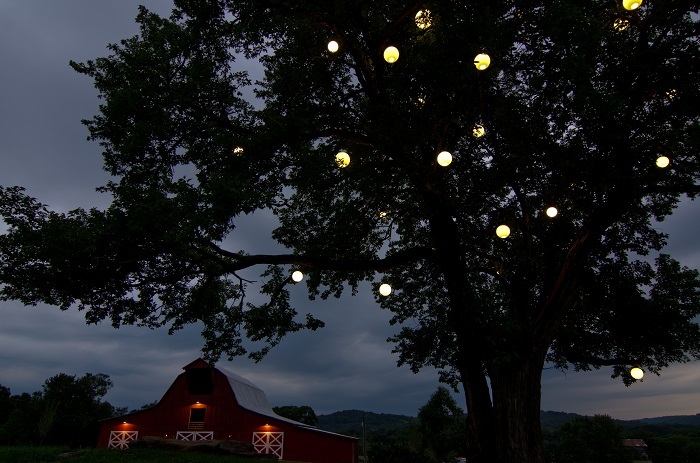 From festoon to orb lighting, festival lighting is one of the most unique and versatile lighting trends for adding illumination into an outdoor area, but also as a way to convey a feeling of a mood within the space. Lighting Control Automation: Our lighting control automation (LCA) technology can make your life easier and offer you the conveniences that you never dreamed possible. From programming the lights to automatically come on when you enter your driveway at night, to the capability of controlling your lighting from your smart phone even while on vacation — wow! 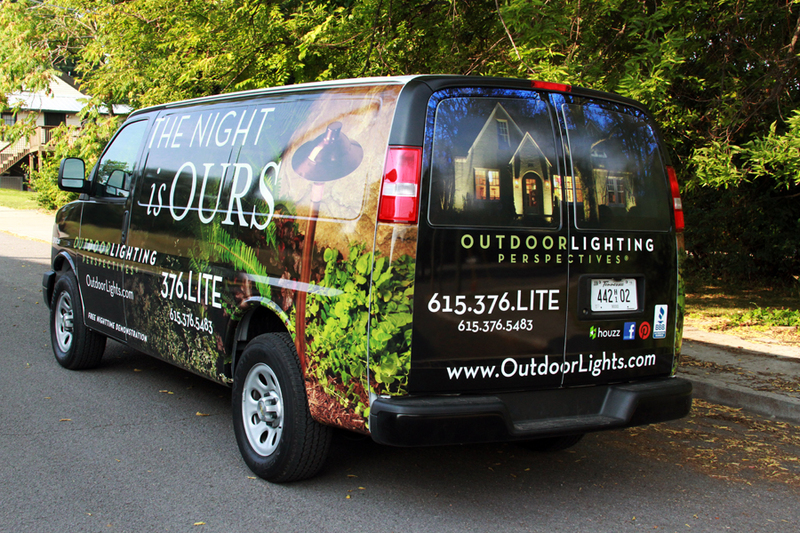 Outdoor Lighting Perspectives Nashville van. This entry was posted in Commercial Outdoor Lighting, Holiday Lighting, Nashville outdoor living, Outdoor Lighting, Outdoor lighting design, Residential outdoor lighting, temporary outdoor lighting and tagged Lighting Control Automation, Nashville Commercial Outdoor Lighting Design & Intallation, Nashville holiday lighting, Nashville holiday outdoor lighting program, Nashville LED outdoor lighting, Nashville lighting control automation (LCA), Nashville permanent festival lighting, Nashville Residential Outdoor Lighting Design & Installation, Nashville tagline "the night is ours", Nashville Temporary Outdoor Lighting for Special Events, outdoor lighting Nashville, Outdoor Lighting Perspectives of Nashville, What "the night is ours" means by outdoorlightingnashville. Bookmark the permalink.